Car accidents occur every day in the United States. After most accidents ensue, the police are notified and a police report is written and recorded. The police report usually contains important facts about the collision such as the time, date, witnesses, weather and statements from all parties involved. This report can help the injured party pursue a personal injury claim in a few ways, including meeting legal requirements following an accident. In order for a plaintiff to be compensated for their injuries, they must present enough evidence to show that the defendant or defendant’s negligence led to the plaintiff’s injury. Most courts throughout the United States do not allow any evidence that is considered “hearsay” to be used by a party to prove their case. Rule 801 of the Federal Rules of Evidence defines the meaning of hearsay as a statement made outside of court to describe something another person said or did by a person who is not under oath and does not have direct knowledge of what they are speaking about. When this type of statement is brought before a court by a party to prove the truth of the matter asserted in the statement, it cannot be used in court unless it meets one of the limited exceptions. Generally, police reports are considered hearsay in most U.S. courts and cannot be used as evidence during a trial. However, a police report can still be very significant even when it cannot be presented as evidence at trial. When writing a demand letter and complaint, the plaintiff will need to know all of the facts surrounding the accident. The more detailed the demand letter is, the more persuasive it will likely be to the opposing party. The police report details the specific facts of the car accident and can be useful in jogging a person’s memory about the facts and circumstances of the crash. The police report can easily be obtained by contacting the entity who wrote it and asking for a copy. A police report can also be used as leverage during settlement agreements. If the police report names a person who witnessed the accident, one of the parties can notify the opposition that they will have the witness testify under oath at trial that they were not at fault. The police report could also be useful if one of the parties admitted to a police officer after the car accident that they were at fault. The police officer may be called as a witness and his or her testimony may not be considered hearsay because the police officer has direct knowledge of the statement made by the opposing party. 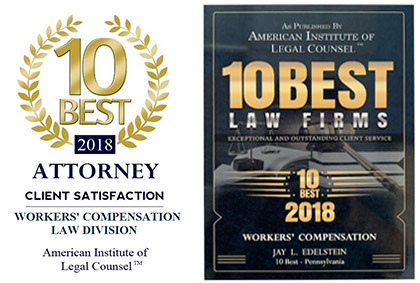 If you, a loved one or someone you know has been injured in a car accident due to someone else’s negligence, contact Philadelphia car accident lawyers at the Law Offices of Jay L. Edelstein immediately. Our experienced team fight for each client to ensure that they obtain the highest financial compensation possible for their injuries. Our offices are conveniently located in Center City Philadelphia and we represent clients throughout Pennsylvania and New Jersey. Call us now at 215-893-9311 or 856-809-3150 for a free consultation or contact us online.